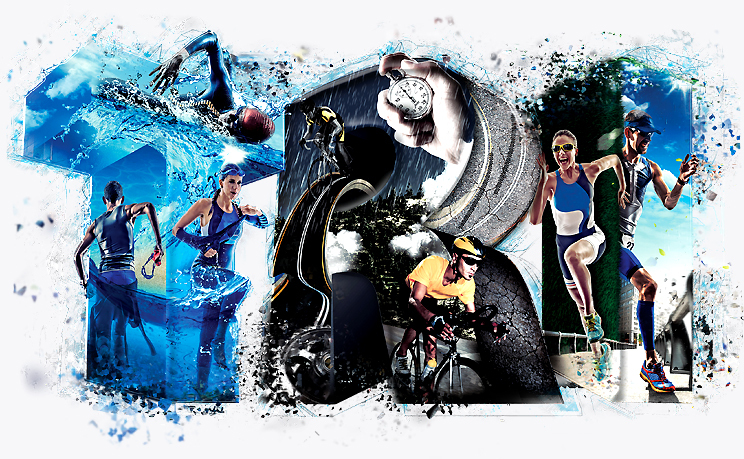 Triathlon Series. The Board Game is the first tabletop game and, as far as we know, the only one inspired by this wonderful way of living: The TRI of life :). Some of you may recognize this pattern: few years ago, extra kilos, chaotic living&Co. And suddenly, a new path is born, where equilibrium rules our life, where swim-bike-run is not a question of fitness, but a way to be. That is the story behind the game, that is the meaning of our slogan. Be mindfully yourself, Find Your Inner TRI. 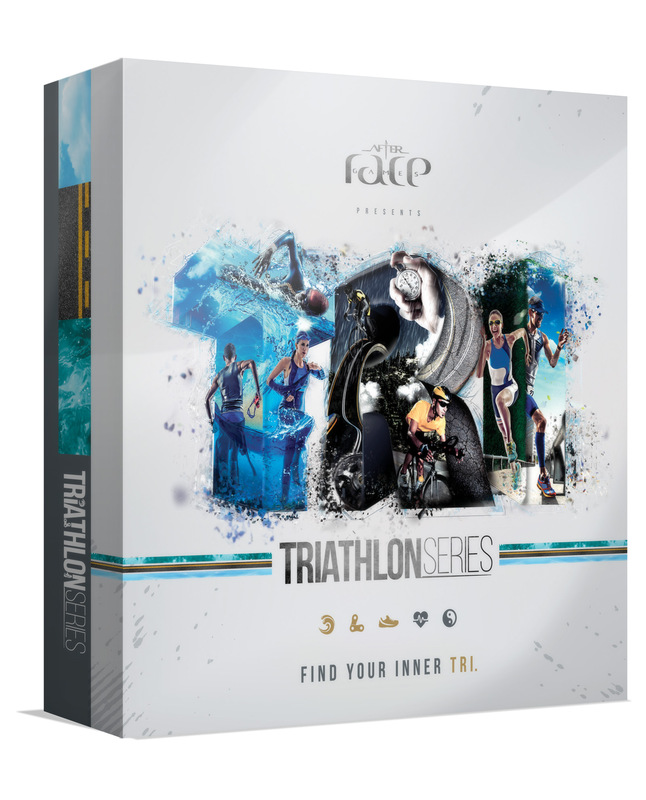 where you need to develop technical skills for swim, bike and run and still be able to hold a good level of energy and mindfulness just before the race. Every big dream starts small and so are you. Your initial level of dice is Red, and you need to find the ways to become Green on technical skills, as well as mental and energy levels. when you use all skills gained during the Management phase. The first and the second phase alternate all throughout the game. You collect icons from Training packs (regular training, personal trainers, workout bonus etc.) and convert them into dice to maximize your chances in race. This turn based game takes place in your real life. You are an amateur triathlete struggling to find the time for training and steady your mental and energy state to be as ready as you possible can for the race. The game-flow is divided in two big areas. A card management phase where you need to develop technical skills of swim, bike and run but still maintain a good level of energy and mindfulness just before the race. After this phase, the first dice based triathlon split will begin, followed by another management phase giving you the time to adjust your strategy before the next split. Download the English pdf. version here. Download the Romanian pdf. version here. Great to show the kids how we spend the weekends. Really nice and easy simulation. I am so glad this boardgame was invented, because it brings triathlon closer to those who don’t practice it (yet) and it helps promoting our sport. And for triathletes it’s quite a treat! I am especially proud that Triathlon Series. 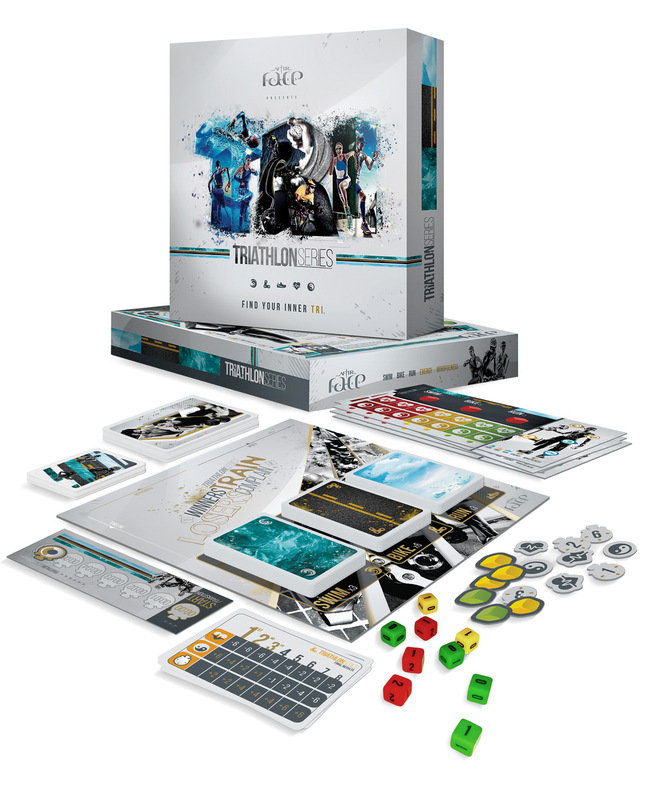 The Board Game started its campaign of winning the international market from a Romanian creative shop. 1 star because u dont speak romanian or english language? Wake up dude.. Cel mai tare joc.. si din partea mea 5 stele. Ma bucur ca mai vad si romani care fac fata si cinste in intreaga lume..
I’m a triathlete for about 3 years and a boargamer since I’ve played your game. Great, 5 stars from me! Great simulation of triathlon spirit! Nice graphics, fresh and entertaining! Well done! Hallo, Ich hab mich bei der Spiel 16 in Essen mit Euch/ Team unterhalten. Ihr hab mir versprochen, dass das Spiel auch in Deutsch auf den Markt kommt. Wie ich sehe ist die Anleitung immer noch nicht in Deutsch auf dem Markt. Schade das Spiel schien mir gut zu sein, jedoch ohne deutsche Anleitung für mich nicht interessant. Ich bin froh, obwohl Eure Mitarbeiter es mir versprochen haben das die deutsche Anleitung kommt, nicht gekauft zu haben. Schade eigentlich. Hätte es gerne gespielt. I met you at the essen.until play your game i definetly dont know what is the triathlon excatly means.but the game is wonderful! People deny theme in first place.but i am sure they ll like game…greetings from turkey. I was sold in a glance! 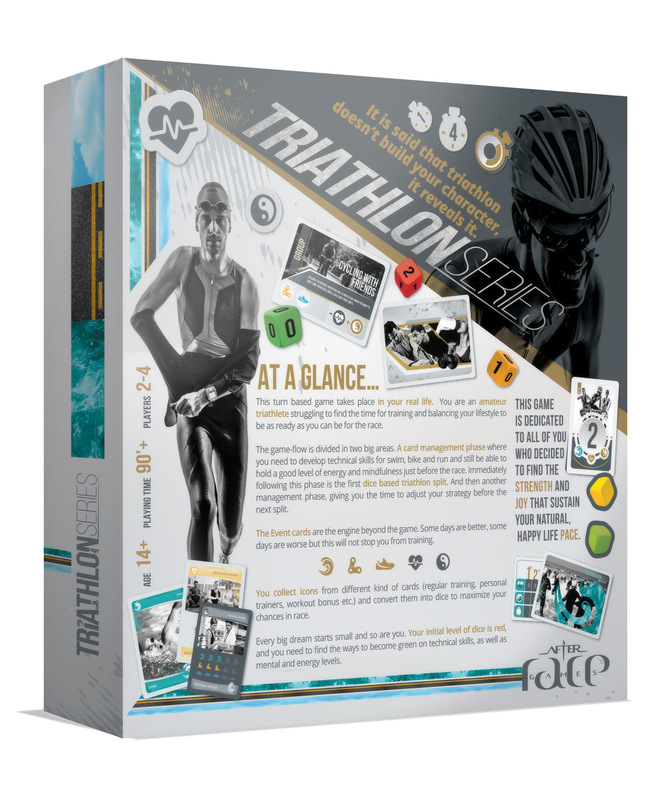 it looks fab, a modern board game and it’s about triathlon. that’s all I needed to know! Then I played home and it’s smart too. it simulates real life events, splits and transitions wonderfully. Plus it’s a great gift idea. Congrats! But this one is good – it simulates really good all that’s happening in the real trathlon. Good job!